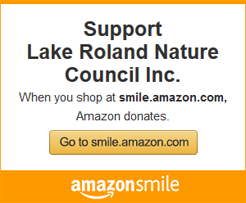 The Lake Roland Nature Council (Lake Roland) is an all-volunteer organization. Volunteer engagement, involvement and development is critical for both the sustainability of the Lake Roland Nature Council and the long-term viability of Lake Roland. One cannot exist without the other. Lake Roland and The Lake Roland Nature Council offer a variety of volunteer opportunities for all levels of volunteer engagement. Opportunities range from single events to long term volunteer involvement. This includes committee-based activities ranging from projects to board level involvement. To view and sign up for current volunteer activities, please go to our volunteer signup portal HERE. All volunteers are required to execute and submit a Lake Roland Nature Council Volunteer Form prior to performing any volunteer activities in Lake Roland and/or on behalf of the Lake Roland Nature Council. The executed form can be sent directly to Lake Roland Nature Council or dropped off with park staff. The form can be found HERE. Certain volunteer activities require background checks to be completed prior to engaging in these volunteer activities. For guidelines regarding these requirements and information on performing your background check can be found HERE.